Meng Wanzhou: "He did not know," White House economic adviser Larry Kudlow says on Fox News Sunday about Trump's knowledge of the Huawei CFO's arrest, per the Hill. "Regarding the Huawei prosecution, let me just say that's a law enforcement action, primarily Department of Justice." 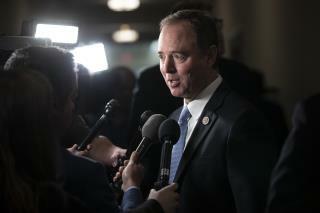 Shifty Schiff strikes again! He lacks credibility. He over exaggerates the fake news for political attention. You can't trust what this dishonest California liberal says.